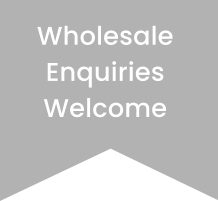 New customers - Proof of trading will be required prior to any orders being processed. Please ensure that you provide us with the correct trading post code and contact details. If we receive an order from a business which we consider is too close to an existing account we may not be able to supply. We reserve the right to refuse orders if we are mislead as to your business and/or address and contact details. York Scarves takes no responsibility for any goods damaged in transit. These will not be replaced or refunded. Should you wish to insure your goods in transit please let us know. The report of faulty goods should be made within 7 days of their receipt. No goods will be exchanged or credited after this. Please be aware that raw silk scarves by their very nature are full of inconsistencies. We do not offer refunds or credit for incorrect purchases therefore please do ask questions prior to purchase. All material, text and photographs on the website are for the exclusive use of York Scarves. Use of these without consent is a breach of copyright. Please be aware that colours may vary slightly from images displayed. Different computer monitors have varying colour casts and also natural yarns will take dye differently each time depending on a number of circumstances. Colour Options - Should your chosen colour option on any item be out of stock an alternative colour may be sent. No money is taken prior to your order being processed until an invoice is issued and ready for dispatch. If you wish to pay by cheque please place your order by phone. We work on a cash and carry basis only. NO credit. We do not sell or trade your personal information to any third party.